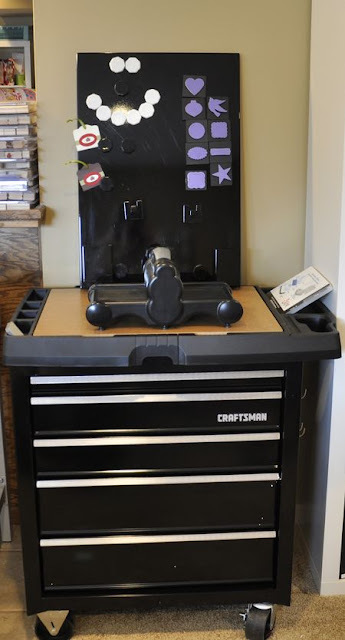 Angie, over at My Chic 'n Scratch has come up with a great way to store her Big Shot, as well as organize all those dies, embossing folders, alphabets, Texturz Plates & Sizzlits, cutting pads, etc. Took me ages to find the post you were talking about but found it eventually. Think it's a great way to store a Big Shot, will have to look out for one of those trolleys. Also loved the boxes for paper storage. Love your blog, keep up the good work in finding us great storage ideas. Crafting in 16 square feet! Stephanie Lynn's Rustic Playroom Paradise!